Nearest airport is Pune Airport, at a distance of 102 km. This airport is connected to Chennai, Delhi, Bangalore, Indore, Kolkata, Mumbai and Kochi. Pune Railway Station is the nearest railway station from Bhimashankar Wildlife Sanctuary, at the distance of 107 km. The Bhimashankar Wildlife Sanctuary is positioned at an altitude of 2100 feet to 3800 feet, and is spread over the districts of Pune, Raigad and Thane districts of the north-western part of Maharashtra. 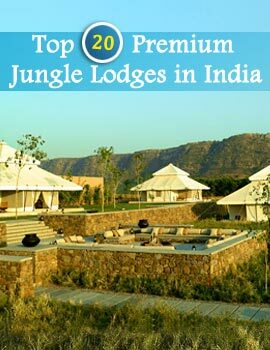 There is a shrine in the forest of the wildlife sanctuary, which has the Jyotiralinga temple of Lord Shiva. The valley found beyond this temple is a wonderful combination of shrubs, magical herbs and plant life. The wide variety of animal species which are found in the Bhimashankar Wildlife Sanctuary in Maharashtra consists of barking deer, leopards, wild boar, sambar, hyena and langur. The Bhimashankar Wildlife Sanctuary has a big number of birds like the Quaker Babbler, the Malabar Grey Hornbill, the Green Pigeon, the Malabar Whistling Thrush, the Black Eagle, the Grey Jungle fowl and many more species of birds. The easiest way to reach the Bhimashankar Wildlife Sanctuary is to drive down from the city of Mumbai, which generally takes around 7 hours. 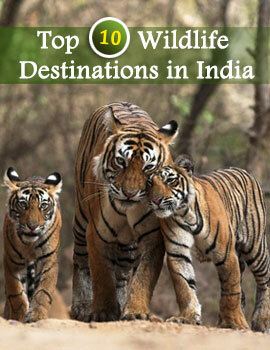 The best time to visit the wildlife sanctuary is from the months of October to May. The tourists are suggested to carry camping gear, dry snacks, binoculars, woolen clothes and mosquito repellents.